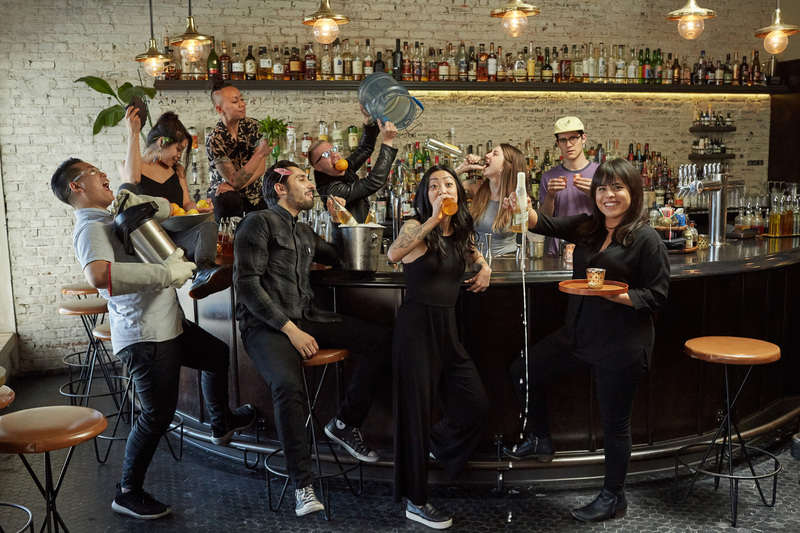 L.A.’s bar scene is as creative and thriving as the city itself. 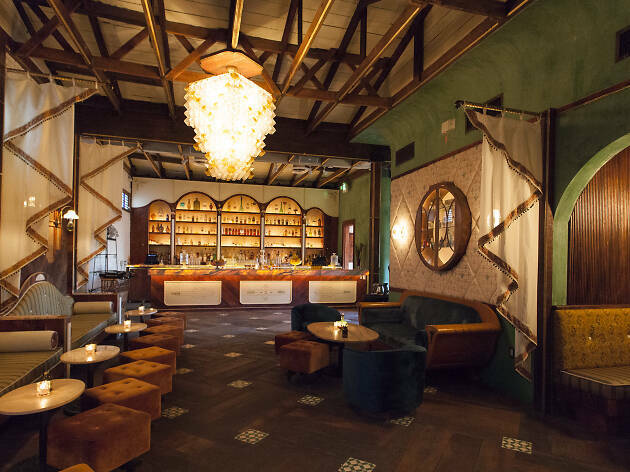 You’ll find some of the world’s best cocktails across the sprawling terrain, not to mention interior design so smooth, it almost steals the scene from the drink in your hand. 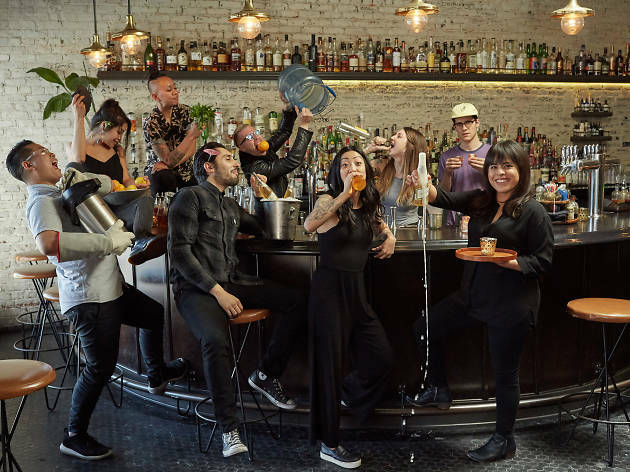 To help you navigate it all, each year we assemble a who’s-who panel of experts and insiders to pick the tried-and-true stalwarts, young guns and top teams as well as all their creations. 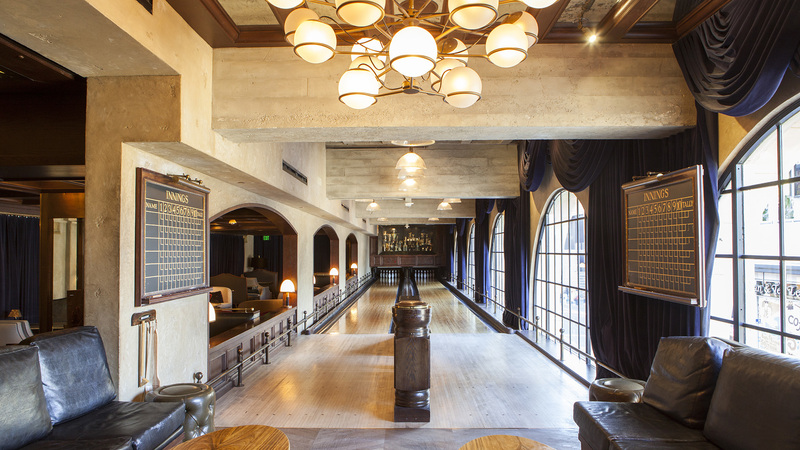 Our 2018 winners run the gamut, from Instagram-worthy, be-your-own-bartender opportunities to classic cocktails in a century-old bowling alley to apothecary-inspired drinks on one of L.A.’s best hidden patios. So, consider this your guide to every occasion. Cheers. 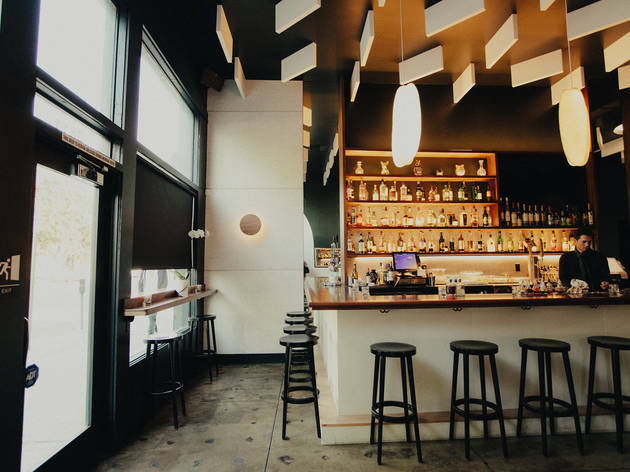 Take equal parts neighborhood bar, a staff with swagger, Taiwanese soul food and a cocktail menu that somehow makes even the most de rigueur drinks exciting, and you’ve got a Mar Vista gem that’s also the city’s best. 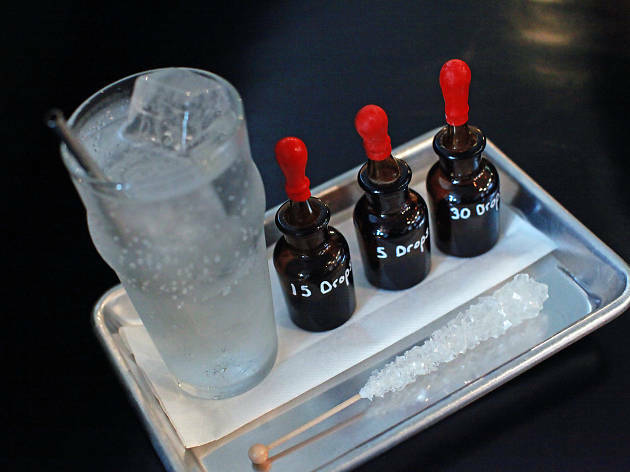 The vibe is unpretentious, and the drinks are unadulterated fun: Pan-Asian ingredients sneak their way into the fundamentals, like a carrot-tinged spritzer made with sparkling sake (in lieu of prosecco) or a whiskey sour brightened by ginger and sesame—all the better to enjoy with the bao and dumplings made right next door at sibling restaurant Little Fatty. 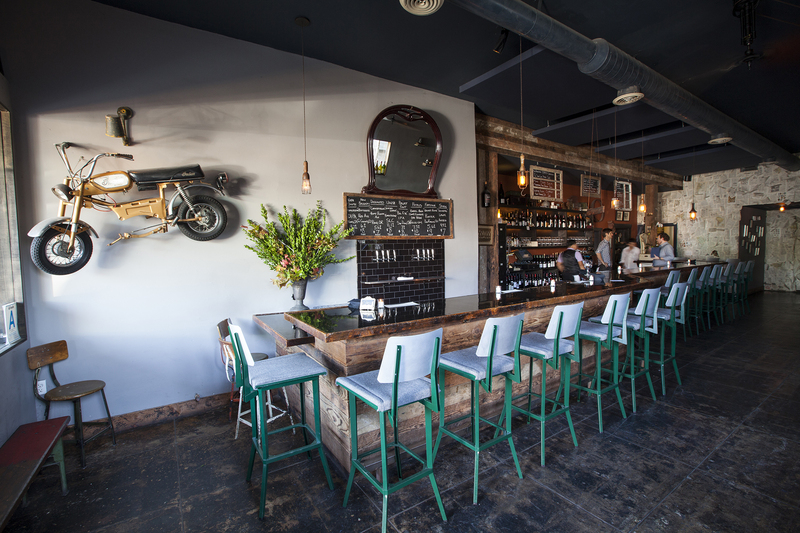 No matter how much you love your ’hood, you’ll consider a move to Mar Vista every time you drop by for a quaff. It’s easy to get caught up in the mayhem of Hollywood Boulevard. But if you dodge the multiple Spider-Men posing for pics outside of the Grauman’s Chinese Theatre, you’ll be rewarded with spirits so startlingly refined and a setting that’s so Old Hollywood, it’s as though you’ve traveled back in time. 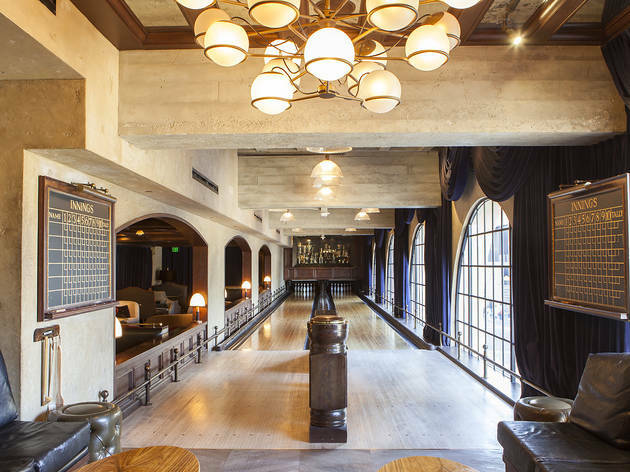 That’s not to say that the Hollywood Roosevelt’s tucked-away bar and gaming parlor—complete with its own old-timey bowling alley—isn’t modern. The bar’s drinks scream “party,” with a focus on punch bowls and tiki-inspired spins topped with fresh fruit and purple orchids. 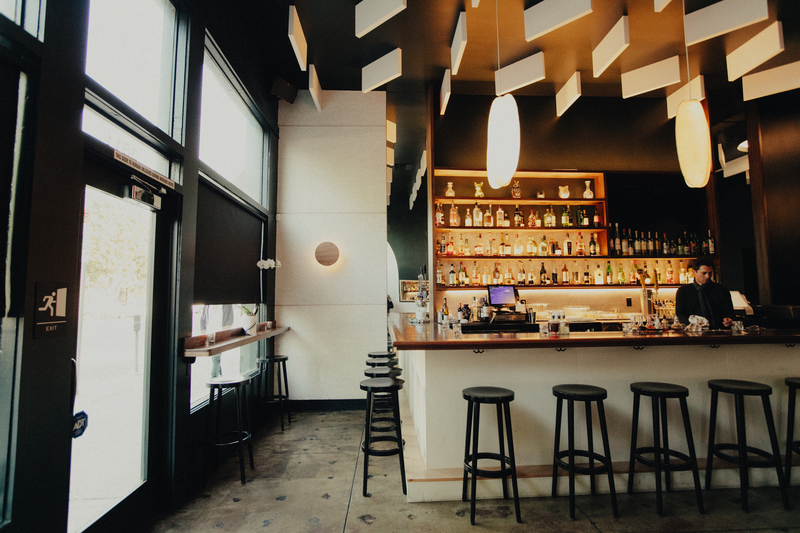 Unwavering since its 2011 launch, the Spare Room has quickly become one of the top hidden bars of the city—or anywhere. 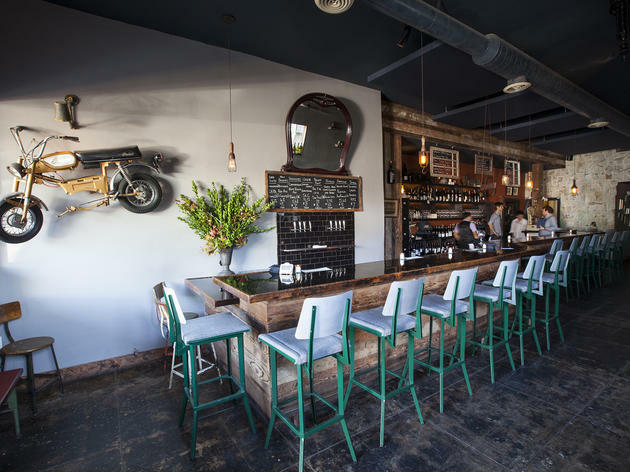 This wine den seems traditional—tea lights, cheese boards, a draft list on the chalkboard—but ask for a menu and things take a turn. 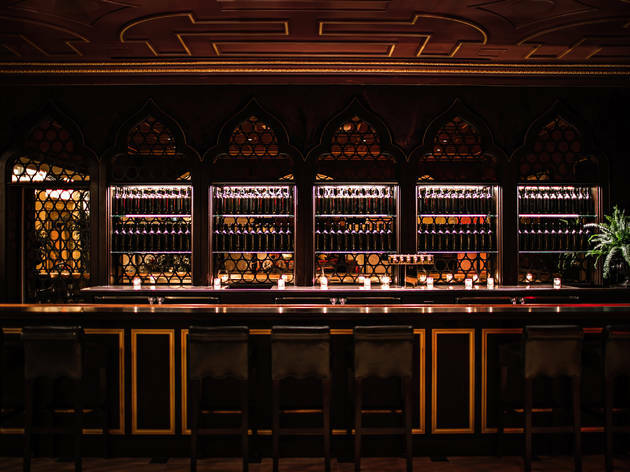 Despite offering a staggering list of 150 wines by the glass, you’re not going to find a written list to help you sort through it. Instead, owners Dustin Lancaster and Matthew Kaner devised a way to make wine recommendations based on a few simple questions about your preferences and maybe an adjective or two (think: “fruity,” “clean,” “funky”). Then, your drink-slinger is off, pouring samples and drawing in the most serious of customers until they crack a smile and get something that’s just to their liking. 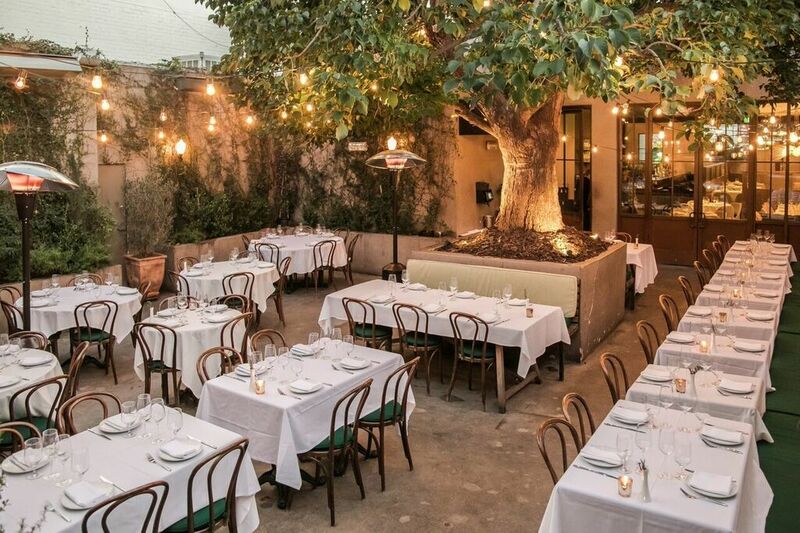 Any Italian restaurant can offer limoncello, but few make it in-house. 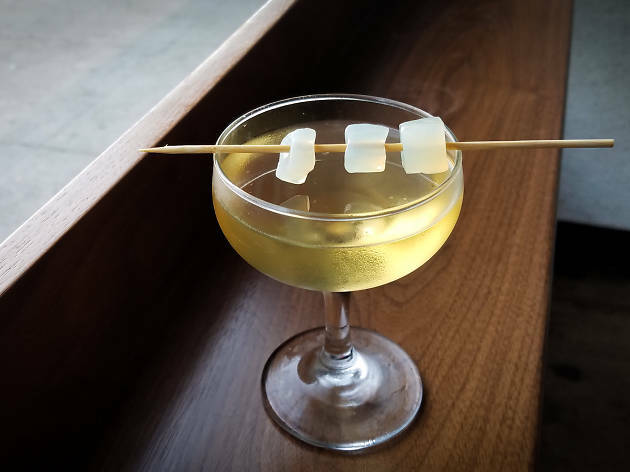 Such is the beauty of the Ponte’s bar team: They craft the classic Italian liqueur from yuzu, lemons and whatever else they can find at the nearby farmers’ market. When they’re not going the extra mile for ingredients, they’re behind the bar, dedicated to Italian classics—making most with imported specialty labels (naturally) and giving you the rundown on their lengthy amari list. Salute! Sometimes you want to go where everybody knows your name, but the cordial crew at Normandie Club will do you one better: After only a few visits, they’ll probably remember your name and your usual. 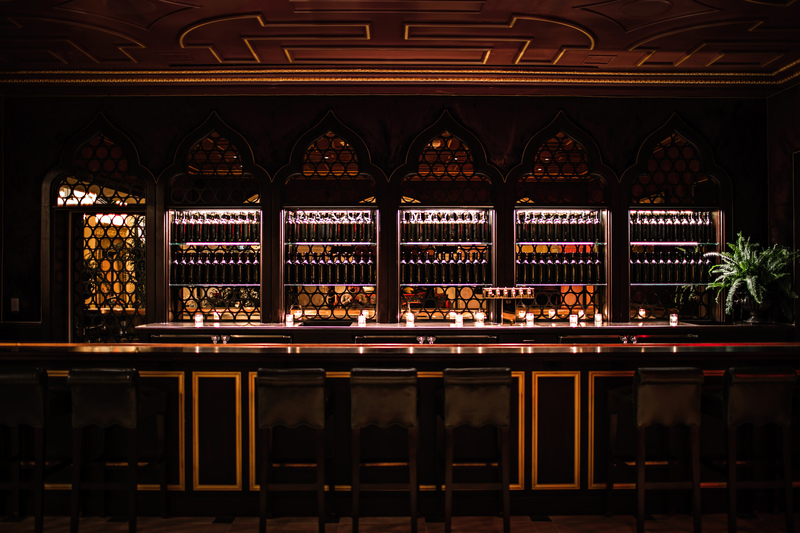 The drinks are beautifully built at Hotel Normandie’s justly lauded bar, but it’s the Carrie Rand Heller–led team that makes this spot a shaken, stirred and straight-up temple to hospitality and versatility. 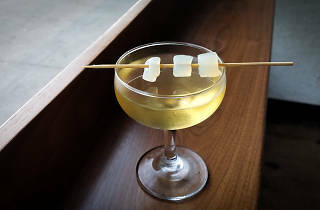 You could order from the brief list of classics-inspired cocktails, but don’t let the bartenders’ skill go to waste: Give them a few parameters, then let them run wild. They love a challenge. You know what they say: It’s what’s on the inside that counts. This New York transplant made its home on the edge of Chinatown in an unassuming brick building that belies its interior. 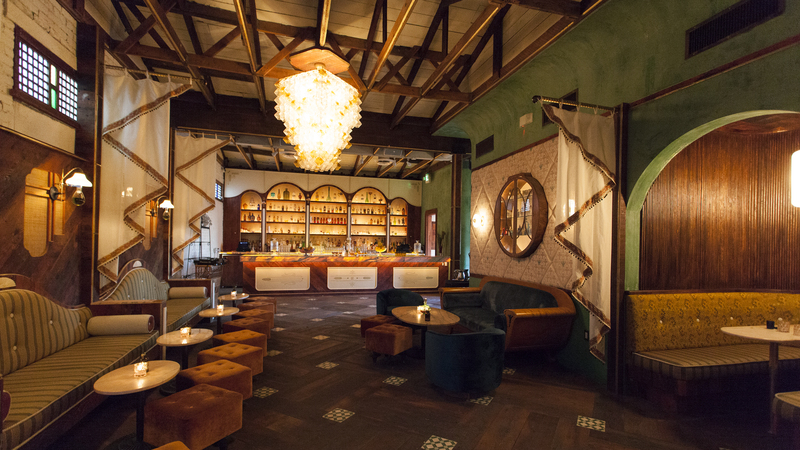 Steeped in a lavish ambiance, this hideaway sports elegant velvet settees and ottomans, tufted custom wallpaper and modernized apothecary touches, like light fixtures made from tonic-filled boiling flasks. 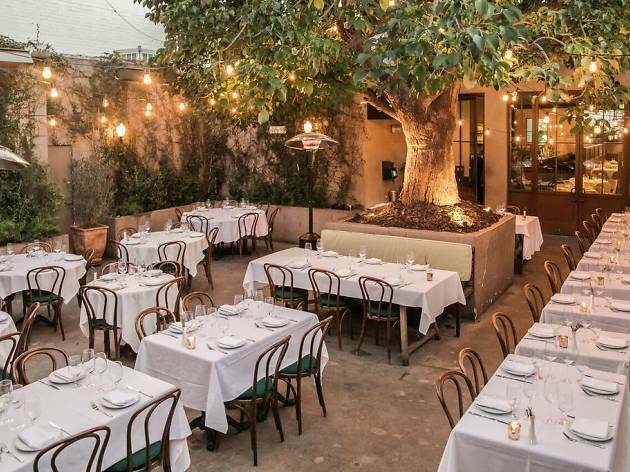 On the white-fenced patio, topiaries, chic lawn chairs, woven rugs and a scene-stealing curved, marble bar turn Apothéke into L.A.’s coolest garden party—all in the middle of a warehouse district. Imagine the best caramel apple of your life: crisp, honeyed fruit under layers of decadent caramelized sugar. 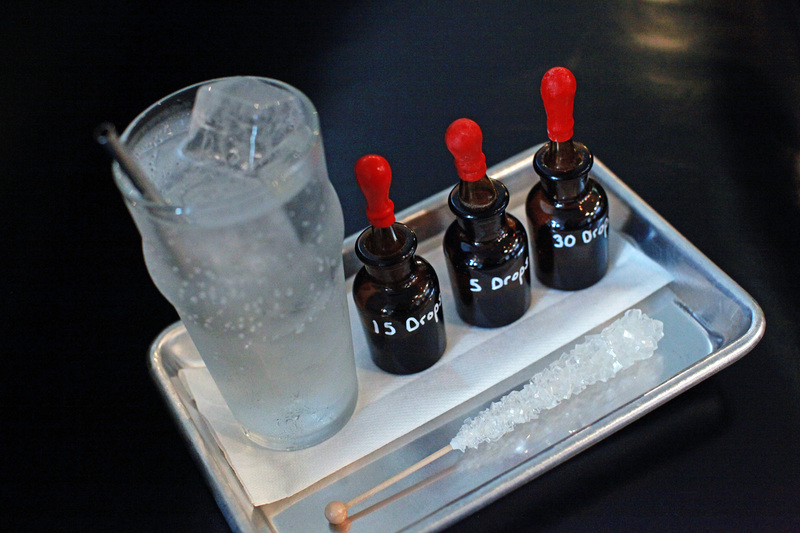 Now imagine it in liquid form, so refreshing and cold there’s frost clinging to its elegant Nick-and-Nora glass. 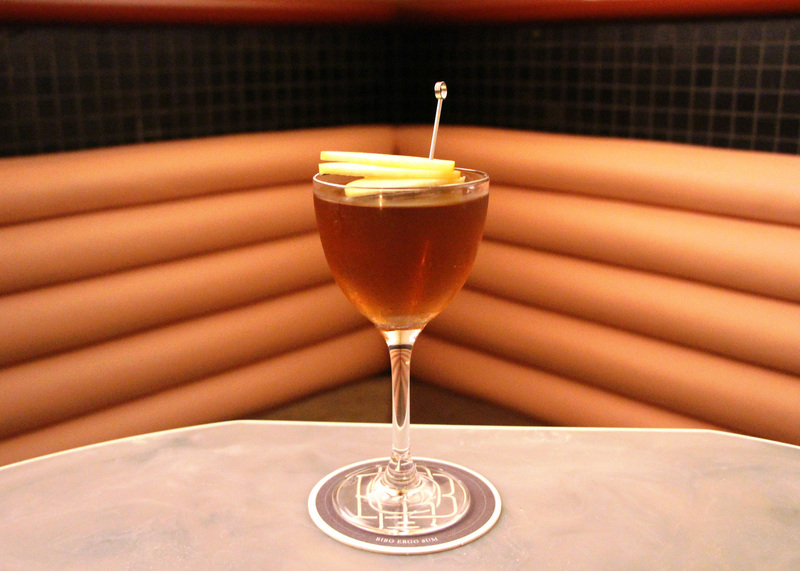 Raising it to your lips and taste a blend of Amontillado and Oloroso sherries, Pierre Ferrand cognac and Plantation O.F.T.D. Overproof Rum singing through a house-made salted-caramel apple cordial. No state-fair treat, this is one of L.A.’s most balanced drinks: tart, rich, smooth, nostalgic. Good luck ordering just one. Austin Melrose, Co-owner of Melrose Umbrella Co.